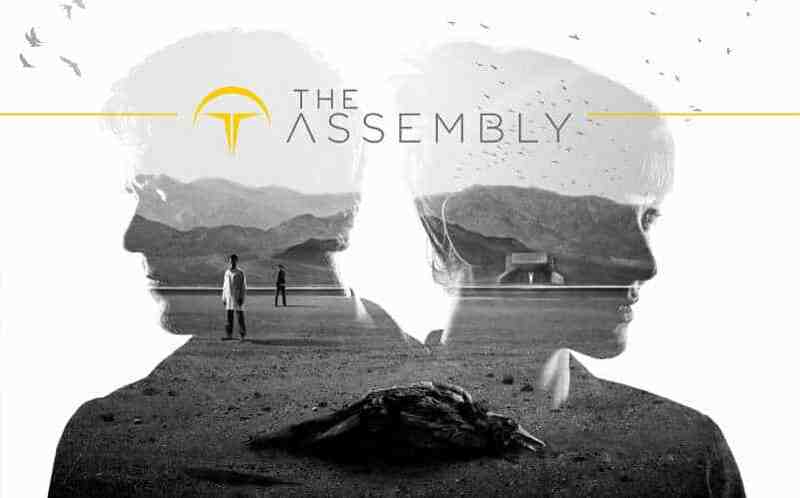 The Assembly Review - Playstation VR | Nerd Much? A month after the release of the Playstation VR, you’ve probably played through the big games on your list. You’re looking for those smaller titles that you may have missed. You come across The Assembly and think, “Hey, this looks pretty intriguing.” We think you should keep looking. Nothing is really broken in The Assembly. The story carries on, the puzzles work, and there aren’t any weird graphical glitches. Yet, there isn’t much substance to any of it. Thanks to a flat story, blurry graphics, and a healthy dose of motion sickness, we were left disappointed. The story centers around two main characters. 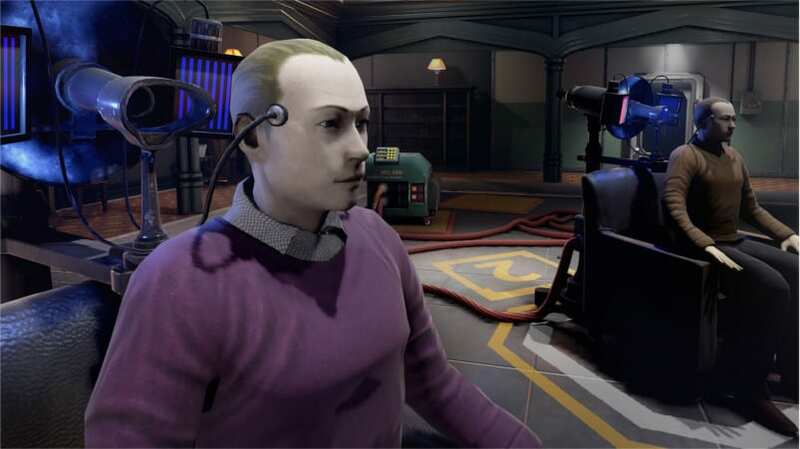 Caleb Pearson is a member of The Assembly’s research staff, looking for a way out. Madeleine Stone, a highly-respected scientist who recently had a turn for the worse, is being recruited by the same shady organization that Caleb is trying to escape. Caleb’s side of the story is much more narrative driven. The Assembly has secretly been using one of your abandoned projects for immoral purposes. You end up sneaking around the facility, gathering evidence of what’s really going on. These segments are full of Caleb talking to himself in order to steer the player from point to point. Ultimately, you end up discovering a lot of questions, without getting many answers. Luckily, Madeleine’s segments are a bit more entertaining. 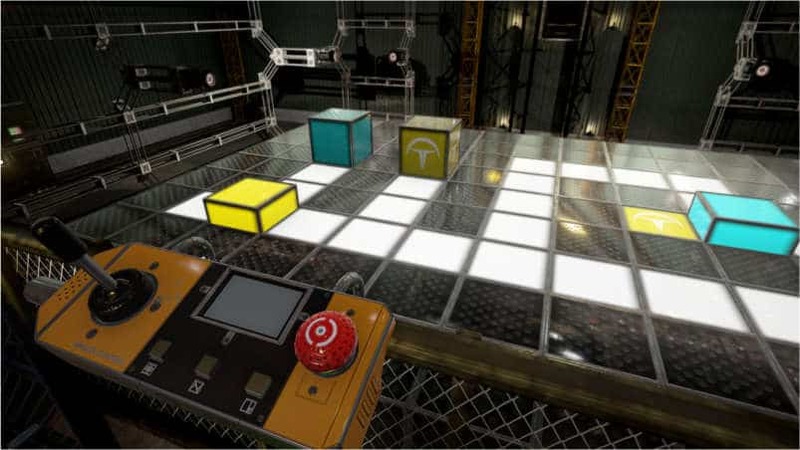 Since her mind is being tested by The Assembly, she must solve a series of puzzles that vary slightly in difficulty. These puzzles could have added a lot to the game, but they never seem to get hard enough to make them worth it. It also doesn’t help that the game spends most of its time in the slower, Caleb segments. Madeleine and her puzzles are never given enough time to build up into something more substantial. Splitting the narrative is an interesting choice, but the execution fails to impress. We were expecting an intriguing tale from two opposite viewpoints. Instead, both sides feel flat and lack any real momentum or climax. Each character is ignorant of the other’s existence minus a brief moment of cross-over. The story continues afterward until it ultimately ends just as it begins to build towards a climax. Usually, these sort of problems can be swept under the rug with the addition of VR. There is something about stepping into a virtual world that makes even the most simple interacting more rewarding. Sadly, that just isn’t the case here. Even worse, we actually think The Assembly would have been better as a standard 2D experience. Movement is defaulted to rotational nudges and some form of blinking. By holding down the shoulder button, you send out a “ghost” that shows where your character will end up. The direction this “ghost” is facing has little to do with where you’ll end up facing after you teleport. This means you always have a moment of disorientation after each blink forward. The default navigation can be adjusted to a more standard twin-stick movement, but we highly recommend that you stick with the default. The free movement is quick to churn your stomach. Controls aside, we also had trouble feeling present in this world due to the blurriness of the textures. We felt like our character needed glasses. Everything felt flat, and when we moved in closer, the details remained a blurry mess. Character models were even worse. The movements were stiff and the bodies looks somewhat distorted in proportion. We never got that feeling of presence that we get from other VR titles. If you are looking for a narrative driven, VR experience on your PSVR, we suggest you look at some other titles. The Assembly falls flat in almost every aspect. The story likely won’t grab you, and more importantly, the VR actually hinders the experience. For anyone with a PSVR, there are many better games to spend your money on. + Puzzles can be fun. – Two flat story lines. – Prone to motion sickness. – Possibly better without VR.